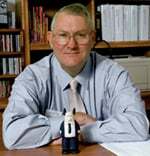 If computers are like bicycles for our mind (and I believe they are! ), the Learning Management System (LMS) is perfectly analogous to the training wheels. Riding a bicycle with training wheels on is relatively safe and it can get you from point A to point B, albeit slowly. But, one hasn’t *really* learned to ride a bike until the training wheels come off. Taking the training wheels off liberates the operator of the bike and affords her the freedom to really move and soar and do amazing tricks. Taking the training wheels off of the open web liberates the learning and affords the teachers and the learners to really move and soar and do amazing things. Both Jon and Lisa (and Jim Groom) are totally correct. But my mind returns to Derek’s point…and questions of policy during a period of disruptive transition. Very few faculty (at least at my institution) have the digital literacy to drop an LMS cold turkey and move to their own domain. Our twelve schools and colleges, our IT personnel and our HelpDesk are not staffed to support faculty in the absence of an LMS. So weaving a path between Jon/Jim/Lisa’s ideal and the pragmatic realities of a faculty wedded to a decade of LMS use, how do we begin a campus wide conversation and develop a timeline to achieve this excellent goal? To my mind, the training wheels will not come off until we have faculty buy-in and a clear timeline for transitioning, with a safety net for current faculty as they transition to the open web. It is not a pipedream to visualize a more open (and amazing) educational landscape. In GRAD-602, we already suggest that future faculty will teach and learn in an open web, making full use of the affordances of the web (and we model what we suggest with our fully open class website). But we also suggest to these future faculty that they should approach digital opportunities in a mindful way. LMS systems solve some problems (FERPA, grades) while creating others (stifled creativity). Before we dump one, we should solve the problems it has already solved…and do it at scale, so that thousands of faculty are not left scrambling at a time they are already loaded down with research, teaching and service commitments. Day 25 – How do we in faculty development support the digital presence of 3,000 faculty without something like an LMS? Honest question, indeed. Be interested in how your campuses are tackling this issue? I am not sure I would consider the training wheels analogy as appropriate, since there is another pressing question. It involves the number of students. I continue to use an LMS, not because I don’t know how to live without it, but because I must teach over 200 students per semester. I have yet to figure out a good way to track student progress at the level of granularity required for my college and the course itself without doing so. 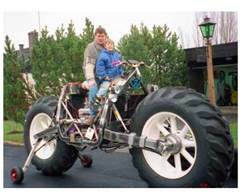 So perhaps the LMS is not so much training wheels on a bike, but 18 wheels on a truck, or better yet wheels on a bus. Yes, I would love it if students would drive their own cars or ride their own bikes. But in a sense I’m in the public transportation business…I’ll get back to that analysis another time. Anyway, it’s not just 1,000 faculty. It’s the faculty who must track many more thousands of students. (Also, I wouldn’t be opposed to “resorting to” the use of an LMS for management tools such as gradebooks. But, this would be in addition to whatever work is done on the open web. I’m still trying to understand how someone can credibly quote Steve Jobs on the subject of computers using a Windows laptop….or did Jon finally retire that Win-Tel Lenovo? More seriously though, it’s the LMS as monolithic catch-all for everything someone is trying to do that’s remains the issue for me. I think Lisa makes a great argument for why they are, indeed, invaluable in certain situations. I just think the push to try and accomplish everything within these spaces is where the field has been choking out some amazing possibilities different learning environments might offer. I think the “one size fits all” mentality of innovation in the LMS is where it really becomes infuriating for me. The fact that the LMS is moving solidly into adolescence at 15+ years old doesn’t erase the notion that there will continue to be faculty members who will encounter these “systems” for the first time…with a “new to me” perspective. While those of us who’ve seen the LMS “grow-up” over the years so to speak, and have become frustrated with that development, seem to look at the interest & appeal the LMS garners for those new to the game with a sense of surprise. I certainly identify with the frustration and desire for change expressed in the post and comments. But the “training wheels” analogy seems a bit parental to me. Its more about who gets to decide when the wheels come off…and for what reasons. But that’s the point Jeff, the way institutions usher in the LMS to these faculty *is* parental, and in danger of slipping down the slippery metaphorical slope, as if the training wheeled bike is the only possible vehicle. I think we can and should set the bar higher, and not coddle intelligent people with such sterile environments. What Lisa states “I have yet to figure out a good way to track student progress at the level of granularity required for my college and the course itself without doing so.” reflects the stifling system of reporting we buy into. I recently interviewed one of the most creative faculty I knew at Maricopa, who has not given an exam (science) class in 8+ years… grades are based on interviews, student projects, self assessments. To him, the exams were an artificial measurement of learning. I don’t have the answers there, but to be blunt, the entire thrust of pedagogy is being driven by the spreadsheet needs of a grading system. @Jon, I love the idea of using other systems for different kinds of tracking, particularly the one you note for Diigo, and I value the concept of students as nodes in a connectivist system, but neither works with the learning goals I have for my students. I have attempted both open web formats and combined formats, and I thank you for the opportunity to think more clearly about why I keep returning to the LMS, especially given my philosophy about learning on the web. Every time I use an LMS, it feels like I am prizing convenience over quality, but examining this more closely I’ve concluded that the opposite is happening. For analytics, any system that quantifies conveniently will work, by counting posts or bookmarks or contacts. It is harder to track quality, which some LMSs let me do by showing all of a particular students’ work, essentially creating a built-in portfolio. I value this because the intensity of the work I demand of students (they must find their own resources from the open web, and write based on the collection they’ve created together) absorb much of the intellectual energy the students are able to dedicate to the class. Then I combine all of it with self-assessment. Doing that across multiple systems would be not only inconvenient, but would affect quality as it will draw student concentration away from the two central tasks and toward a focus on doing well within the system (i.e. for Diigo collecting as many resources as possible instead of focusing on quality). I do use open web options. All my own materials are kept on the open web, and just linked from the LMS, because I believe in open education and want my own work shared. I am not afraid of FERPA either. So perhaps I should have said I use the LMS because of the level of granularity required by my own pedagogy, my students’ concentration, and my time-management abilities, not just the forces beyond my control. @cogdog In large part I agree, Alan. I don’t think I’m suggesting anything new here, but I’d also pitch that in addition to the way “institutions usher in the LMS,” there is the baked-in design of the LMS technology itself that has an implied pedagogy. The dominant use of these systems as a parking lot for content and a safe-house for grades is more a reflection of existing teaching practice. The LMS reinforces a command & control approach…which has obviously contributed to its popularity. This is a fascinating conversation, and I’m glad to have helped start it. I think there are a few different aspects of your typical LMS (that is, Blackboard) at play here. One is “one size fits all” piece, which can limit faculty creativity and innovation, particularly if faculty opting out of the local LMS aren’t provided with much support. Back to my original question: How might a campus provide educational technology tools and support to hundreds or thousands of faculty? I think doing so requires some kind of “one size fits all” (or at least “one size fits most”) system–a standard set of reliable, useful tools that most faculty can use with a bit of help. The trick, I think, is to provide a standard set of tools that are useful for many faculty and that support good teaching (something “like an LMS”), while also providing support for a smaller set of faculty who want to go their own way and do something more innovative or creative. @Derek UMW’s blog system is a great example. It can be made both more flexible and more open than a standard LMS. If there were will and knowledge like they have at UMW to develop it (and find/create appropriate plugins for tracking) it could work in many places. 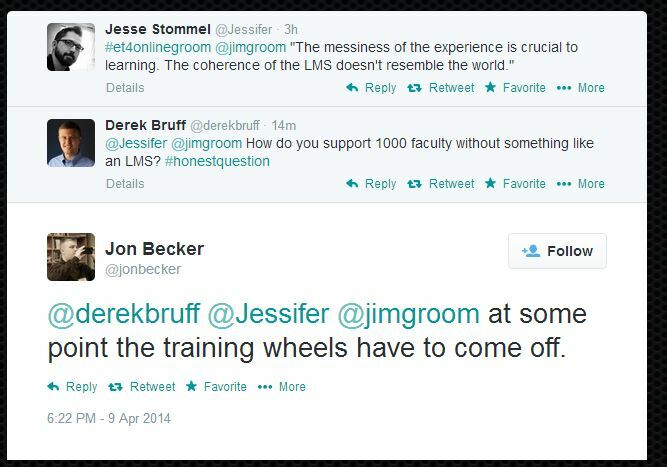 But yes, of course, it would still be “something like an LMS” since it would need some sort of centralized support.